Father's Day is just around the corner, on June 16. 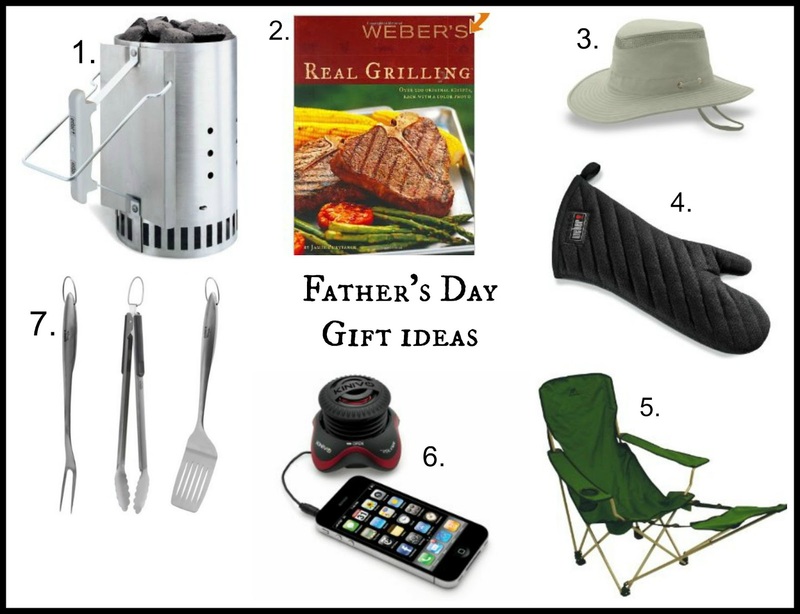 And if your dad/husband/significant other is anything like mine and enjoys grilling and being outdoors, they'll love any item on this list of gift ideas. I found all of these items on Amazon. If your guy isnt' into grilling, there are litterally millions of products available there. Tools, tech gear, poker chips, fishing poles or whatever he loves. They have quick shipping on most products as well. 1. Charcoal chimney - This really speeds up the time it takes for the charcoal to be ready to use. 2. Weber's Real Grilling Cookbook - We have this and it's a great cookbook. I use it as much as the Mr. does. 3. Tilley Airflo Hat - A ventilated hat that protects his face and neck from the sun. My dad has this hat and loves it. 4. BBQ Mitt - Longer than regular oven mitts for extra protection while grilling. 5. Folding chair with footrest - The footrest is the best thing about this chair. It even has a cupholder! 6. Mini portable speaker - Just plug in your music player and you're set! 7. Grill Tools - A must for cooking on the grill. These will last forever and clean up nicely. 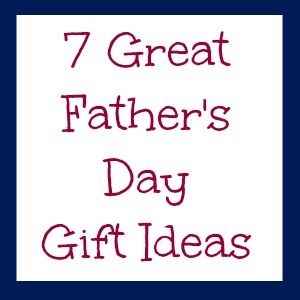 I hope this helps in your search for the perfect gift for the dad in your family!